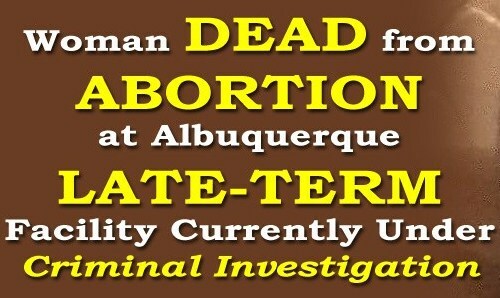 Albuquerque, NM- Late-Term Abortion Capital: New Mexico Is The Wild, Wild, West As Far As Abortion Is Concerned…No Regulations & Anything Goes! Late-term abortions are overwhelmingly opposed by the vast majority of Americans. According to one Gallup Poll, 68% oppose second trimester abortions and a stunning 84% oppose third trimester abortions. That disapproval is reflected in the law. In most states, abortions after viability are either illegal or highly regulated. Thirty six states have some kind of ban on “late-term” abortions, although the definition of “late-term” varies. Fourteen states prohibit abortions after 24 weeks. Ten states require a second physician’s approval. However, in New Mexico there are virtually no laws pertaining to viability (NM does have a partial-birth abortion ban that is consistent with the federal ban. However, it just bans partially delivering the baby outside of the womb and then killing the baby. The ban just made it illegal to kill a viable baby outside of the womb. So, abortionists came up with another procedure [The MOLD procedure. It is explained below.] that kills the viable baby in the womb and then they deliver the dead baby.) It is legal in New Mexico to have an abortion up to the day of birth. 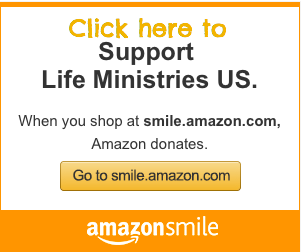 While there are a handful of abortionists in the country willing to do abortions well into the third trimester, Curtis Boyd has a referral network system that is getting the word out better and drawing women to his late-term mill (Southwestern Women’s Options) from all across the globe! Also, another factor that enticed Boyd to set up shop in New Mexico specifically to market Late-Term abortions according to Troy Newman- President of Operation Rescue, New Mexico is still very much the wild west as far as abortion laws are concerned. Right now, anything goes! Due to the lack of abortion regulations, Curtis Boyd decided to market late-term abortions here in Albuquerque, New Mexico. 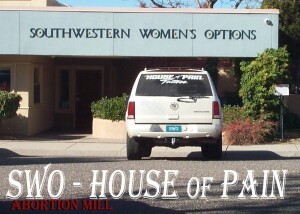 New Mexico is The Late-Term Abortion Capital of America…and the WORLD! For background information read the five part series “Abortion Capital” delving into the business of lucrative late-term abortions in Albuquerque, New Mexico. MOLD is an acronym for the four products employed in the abortion process: Misoprostol, Oxytocin, Laminaria, and Digoxin. After the Digoxin injection, the woman’s cervix is packed with laminaria, thin tampon-like sticks made of seaweed that expand the cervix gradually over the next day. The next day, the woman is repacked with larger laminaria sticks and given Misoprostol to prepare the woman for labor. On the final day of the abortion, the woman is given the drug Oxytocin, which induces contractions and the onset of labor. Women then are placed in a room where they endure the labor process. When it is determined that the labor has progressed to the stage where the baby is about to be delivered…Each woman is taken into a room with a toilet and told to lean on the nurse and push the baby into the toilet. Once the dead baby is delivered, the woman is given a procedure called Dilatation and Curettage, or D&C. Here, a sharp edged spoon-shaped instrument is used to remove the remaining tissue, such as the afterbirth, from the uterus. Complications from lethal fetal injections are well known. In Orlando, Florida, the misuse of Digoxin resulted in the live birth of Baby Rowan, who died after abortion clinic workers denied him medical care. In Wichita, Kansas, baby Sarah was injected in the head with a toxic drug that was a precursor to Digoxin. She survived and was later adopted, but suffered a malady of medical problems. She died five years later from complications to the injuries she received as a result of the injection. A news release Thursday from Bud​ and Tara Shaver​, of Abortion Free New Mexico​, announced the decision by the executive committee of the state board that oversees physicians to launch a “formal review” of the death of an Albuquerque woman. The autopsy, decried as a “whitewash” by the Shavers last year, concluded that her death was attributed to her pregnancy, not the abortion. This is the second time since 2012 that anti-abortion activists have complained to the state Medical Board, made up mostly of physicians appointed by Gov. Susana Martinez, about Boyd or his clinic operations. The last case involved Dr. Shelley Sella, who worked at the clinic. It evolved from a formal review to a public “notice of contemplated action” in which the medical board prosecutor accused Sella of gross negligence in treating a 26-year-old woman who had a uterine rupture during a late-term abortion in 2011. Sella was accused of administering excessive uterine stimulants to the patient, who traveled to New Mexico from her home in Brooklyn, N.Y., for the procedure at Southwestern Women’s Options clinic. The board exonerated Sella in 2013. A medical board spokeswoman didn’t respond to a Journal request for information about the current inquiry. But a copy of the medical board’s letter to the Shavers, which they released Thursday, says that the board’s executive committee reviewed their complaint dated Dec. 12, 2017. It doesn’t recite the allegations, but the Shavers’ news release said the complaint relates to the death of the 23-year-old woman. It is well documented that babies in the later stages of pregnancy can feel pain and at least one study indicates that babies as young as 6-8 weeks gestation may experience pain. A shocking number of medical emergencies at two Albuquerque abortion clinics over the past few months have raised questions about clinic safety and who is responsible for oversight. After months of investigation, pro-life groups have determined that Albuquerque abortion clinics often operate in regulatory gaps and actively seek to “fly under the radar,” as one regulator put it. This has created a public safety crisis in New Mexico. Tara Shaver obtained a consent form from SWO, in 2012 from a woman injured from a late term abortion, where the abortion business admits that abortions after 18 weeks are more dangerous than live birth, which is contradicts the usual pro-abortion talking points. The documents were released recently by the New Mexico Medical Board in response to an open records request. Both Mrs. Shaver and Operation Rescue had filed the original complaints with the NMMB after receiving a 911 recording of a medical emergency that took place at Southwestern Women’s Options, a late-term abortion clinic in Albuquerque, on May 12, 2011. Read the shocking details here! Below are links to full audio recordings, written transcripts, Computer Aided Dispatch (CAD) transcripts, and published reports documenting 20 abortion related injuries, which includes at least one woman’s DEATH we’ve documented from (2008-2019). Consent form obtained by Tara Shaver and released with permission of the woman injured at Southwestern Women’s Options. 16. March 27, 2014: 16th Botched Abortion at Late Term Abortion Clinic In ABQ! In the 1960s, Curtis Boyd provided thousands of illegal abortions to women in Texas. “Part and parcel of the pro-abortion rhetoric is that women need open access to abortion to protect them from having to resort to seeking out “back alley” abortionists. Vulnerable women not realizing Curtis Boyd’s sordid past and current trouble are being thrust unsuspectingly into his hands. Boyd also admits to having conducted “pain management” experiments on his patients as well as having used them to experiment new abortion methods. As previously mentioned, over the past two years alone, there have been eleven documented life-threatening injuries at Curtis Boyd’s late-term abortion mill, demanding these women be rushed to the UNMH emergency room.